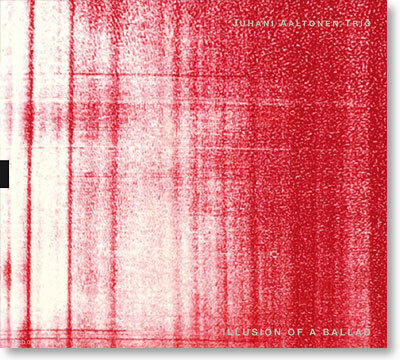 Illusion of a Ballad is the second recording by Finnish saxophone legend Juhani Aaltonen with his trio that also includes bassist Ulf Krokfors and drummer Tom Nekljudow. The album features nine well-remembered jazz standards by Duke Ellington, George Gershwin, Ornette Coleman and others. Yet, the Juhani Aaltonen Trio sets out to find new, unexplored sides to the material, making the classic compositions "simpler but also more complex" in the process. Even if emphasis is on the ballad, the music is still full-bodied, uncompromising free improvisation in the unique style of this trio. This recording is another demonstration of why the Juhani Aaltonen Trio has become one of the pre-eminent Finnish modern jazz groups of the past decade and has also received considerable international acclaim.